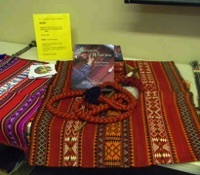 Studio 49 meets on the 2nd Saturday of the month at the Sonora County Library on Greenley Rd. from 10:00 to 2:00. 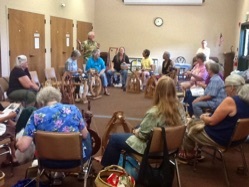 Bring your spinning wheel or your knitting and spend some time with other fiber enthusiasts. It is a great place to get help and find resources and on occasion fiber or a wheel!